Many thanks for your visit, it makes this page purposeful! I hope you find something inspiring. A review of the very rich "Craft of Use" by Kate Fletcher is out at the Revista de Design, Tecnologia e Sociedade. 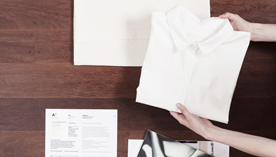 In it, apart from giving an overview of the book, I discuss a little what turning to the personal practices in fashion can mean. A call for studies on the 'rest' the world—the big part often forgotten, including the Latin America, Africa and Asia. 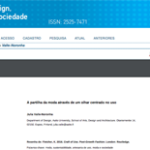 Happy to see that this first contribution to the Brazilian journal dObra[s] is now out! 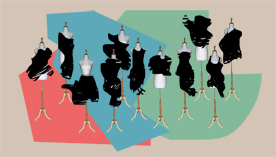 I kindly invite you to check out this (and many more) at their official webpage: The Intervened Wardrobe: Making visible the agency of clothes.